If World Cup 2018 appeared to be low profile at the start, it didn’t last long. Following this week’s Harry Kane goals and England’s 2-1 win, we’re now all waiting to see what happens on Sunday afternoon against Panama. But while much of the nation has been focussed on this, many dedicated professionals from our industry have been performing themselves - and this time for good causes in the charity sector. If you have events this summer, please let us know. Email press@estateagenttoday.co.uk and we’ll give you an honourable mention. 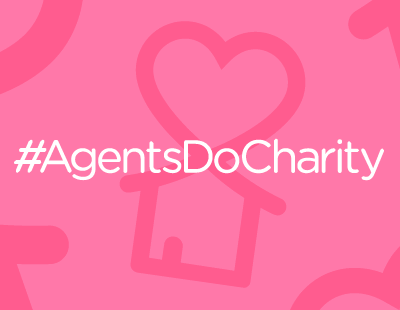 Agents Giving: The Agents Giving grant fund is open for applicants once again. 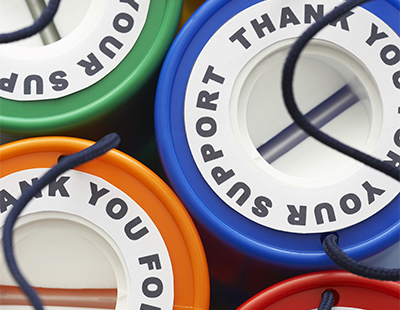 It exists to help towards the set up costs of agent’s fundraising events, therefore maximising fundraising so more of the money you raise goes directly to your chosen charity. The grant is for agents and suppliers to the industry to help with their event set up costs, it is not a direct charity donation. Grant requests should be made in advance of your fundraising event. Grants of up to £250 per office per year will be considered and will need to fulfil Agents Giving criteria. Fine & Country Foundation: Fine & Country is celebrating the 10th anniversary of its popular polo event, which raises thousands of pounds for the homeless, with a fun summer event that will, for the first time, run into the evening. The event, which has traditionally been held on a Sunday, is moving to July 7 to encourage people to stay into the evening once the action on the field is over. More than a sporting event, the Fine & Country Gold Cup is a great opportunity for family and friends to spend quality time together browsing the shopping village, enjoying fine food from our food court or a picnic on the lawns whilst watching exhilarating polo. Tickets are complimentary but a donation of £10 per car is requested. All proceeds are donated to the Fine & Country Foundation, which is dedicated to fighting the causes of homelessness. From 5pm, Fine & Country invites guests to join them in the club house to celebrate the success of the polo teams with live music, food stands and a bar. Tickets for the after party are £10 in advance or £15 on the day. Visit http://www.fineandcountry.com/uk/polo for further event details and to reserve your tickets. My Home Move Charity Trek: On June 30 some 31 employees from My Home Move and Advantage Property Lawyers will be making the hike up Ben Nevis once again. This is the second time that conveyancing and support team members from My Home Move have taken on this challenge, having already reached the highest point in the British Isles back in 2011. - Simon on the Streets in Leeds. To make a donation and support the My Home Move Charity Trekkers, please visit https://www.justgiving.com/fundraising/dtrt-ben-nevis-2018. For more information about the MHM Charitable Trust and the causes it supports, visit https://www.myhomemove.com/about/corporate-social-responsibility. Sue Ryder Hospice: Jonathan Richards, branch manager of Peter Ball & Co’s Tewkesbury branch, is getting on his bike for his local Sue Ryder hospice. Leckhampton Court in Gloucestershire is a place that’s very close to Jonathan’s heart as he sadly lost his cousin to cancer when she was just 28 and more recently, a friend who was in her 30s. It’s with both young women in mind that he’s now training hard for a mammoth 130K ‘Ride for Ryder’ cycle challenge around his home county this weekend. To support Jonathan’s Ride for Ryder on June 24 please visit www.justgiving.com/fundraising/jonathan-richards15. Magic Moments: Darlows, which has branches across Wales, is holding a charity ball on June 30 in Cardiff to help children’s charity Magic Moments, which was set up in 1998 by the then chairman of Darlow’s parent company, Spicerhaart. The charity is dedicated to helping children from supported hospices and their families, including taking them on annual trips to Disneyland Paris. Following a number of successful charity events for Magic Moments, Darlows’ regional partner, Gareth Brackin wanted to do something really big this year, so decided to put on a ball. He had hoped to get 80 people to attend but thanks to the help and support of Darlows staff, local businesses and the local community, has managed to sell 200 tickets so far, raising £2,500. “All the community has pulled together to help these children and their families, some of whom will be attending the event as guests. We have already trebled what we thought we would achieve and the ball hasn’t taken place yet, so we are on target to raise around £6,000” he says. There are a few tickets still left for sale. People interested in attending can contact: lisa.haycock@darlows.co.uk. You can find out more about the charity or donate through their Just Giving page at: www.magicmomentscharity.co.uk.